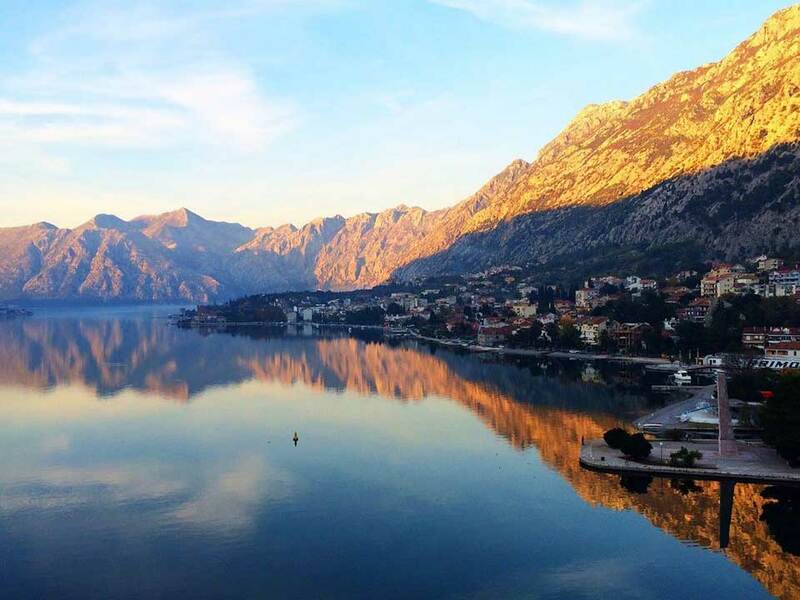 Amazing views of Bay of Kotor, local food in Njegusi village apart of visit to 2 National parks(Lovcen mountain and Skadar lake) and the old royal capital Cetinje. 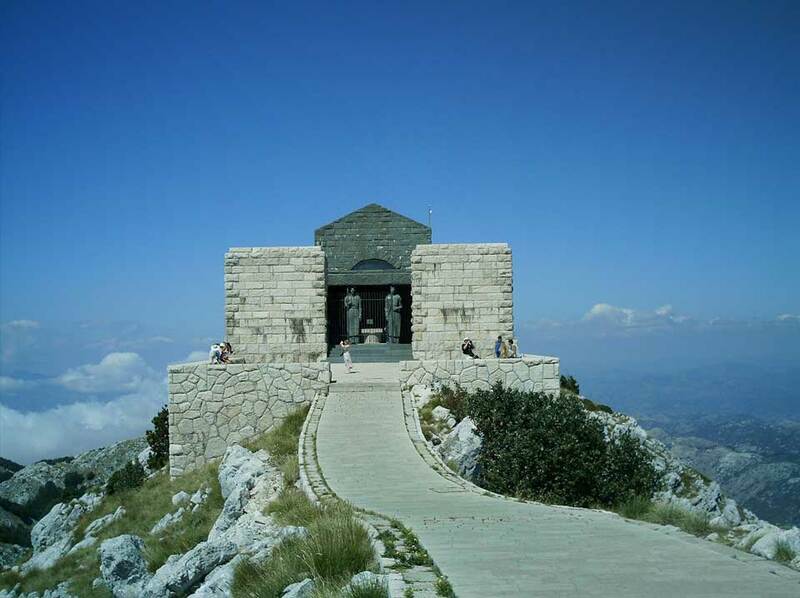 Lovcen National Park rises above coastal region and is a hinterland of Kotor. It includes territory of Cetinje and Budva municipalities. It has the surface of 6 220 ha and altitude is between 939 m to 1 769 m on Stirovnik, which is the highest point with Jezerski which is 1 657m. It holds the status of National Park since 1952. 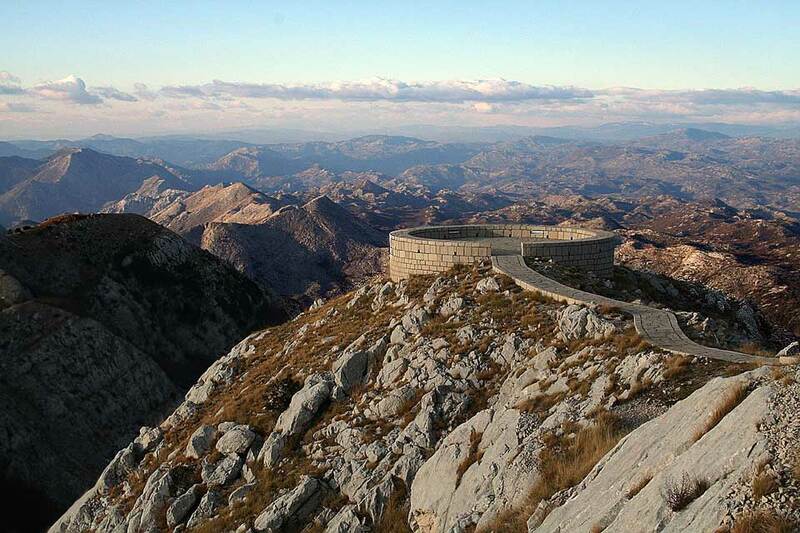 National Park Lovcen can be reached by car or by bus from Cetinje. The distance from Cetinje is 7 km. 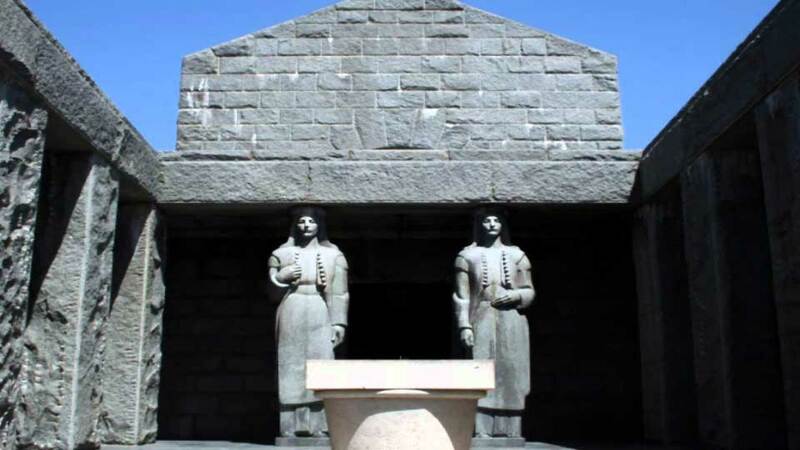 Lovcen is a symbol of statehood and national identity. 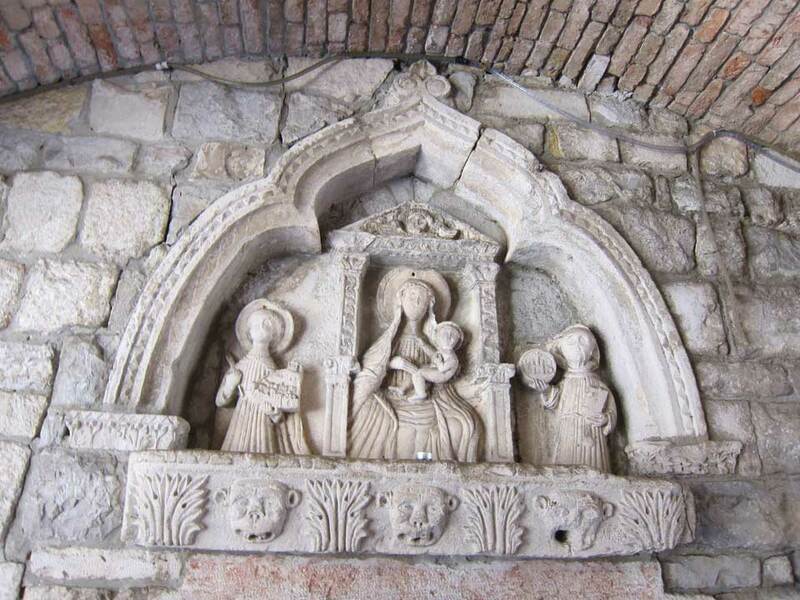 On its top there is a Mausoleum of Petar II Petrovic Njegos. Lovcen is rich with architectural heritage, pas - tures etc. One of many important monuments is Njegos’s birth place and village Njegusi, which is lo - cated on old Kotor to Cetinje road. 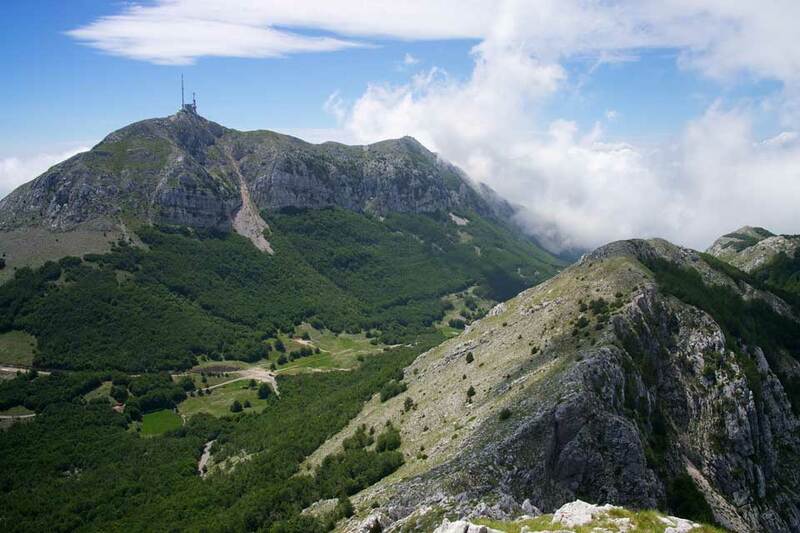 Lovcen’s geographical position and mountain climate, which is under heavy influence from Mediterranean and continental climates, have influenced growth of several types of vegetation and various floras, from Mediterra - nean to high-mountainous. There are five zones in the national park which are separated by special re - gime of use and management. Activities available to tourists are: stay at beautiful Ivanova K o - rista, walking through well marked paths, enjoying the views of Mon - tenegro and Adventure park for those more brave and extreme. Also available to tourists are tra - ditional Montenegrin cousin, fa - mous njeguska prsuta ( Njegusi dry-cured ham), cheese and many other dishes. Cetinje is the historical capital of Montenegro. 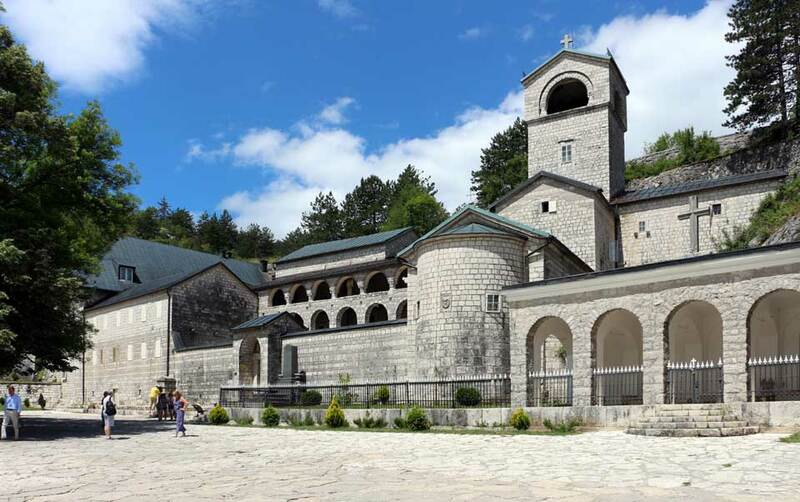 Cetinje is located at an altitude of 670m. 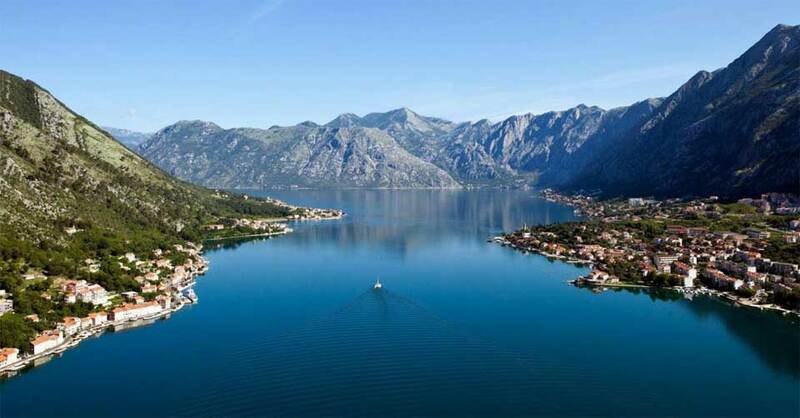 City was the capital and main cul - tural-historical cent - er of Montenegro for four and a half cen - turies. Municipality Cetinje’s total area is 910 km2 or 6.6% of total Montenegrin area (13 812km2). City itself covers area of around 5 km2. 16 657 people live on the territory of Cetinje. 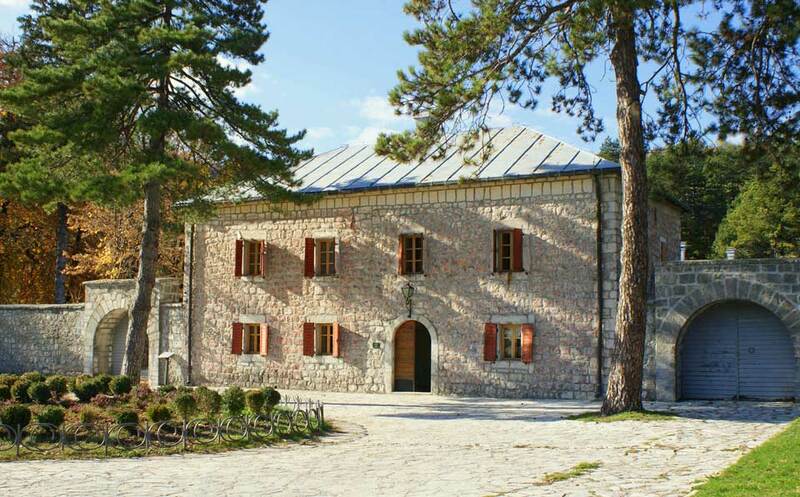 Cetinje is located in the middle of the main road that connects Podgorica and Budva, or rather it is the middle point between central and coastal regions. From Budva it is 29 km away and 31 km from Podgorica, 37 km from the airport in Podgorica, 49 from the airport in Tivat and 67 from the port in Bar. 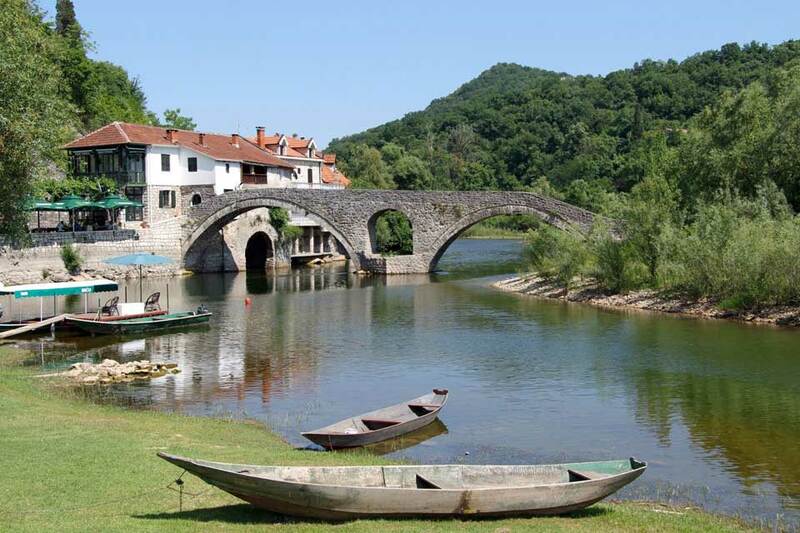 Cetinje is 12 km away from Adriatic Sea by aerial line and 15 km form Lake Skadar. Dry and warm summers and mild and wet winters characterize mild continental climate of Cet - inje. Cetinje falls under some of the rainiest cities in Europe with around 4 000 mm of rain a year. 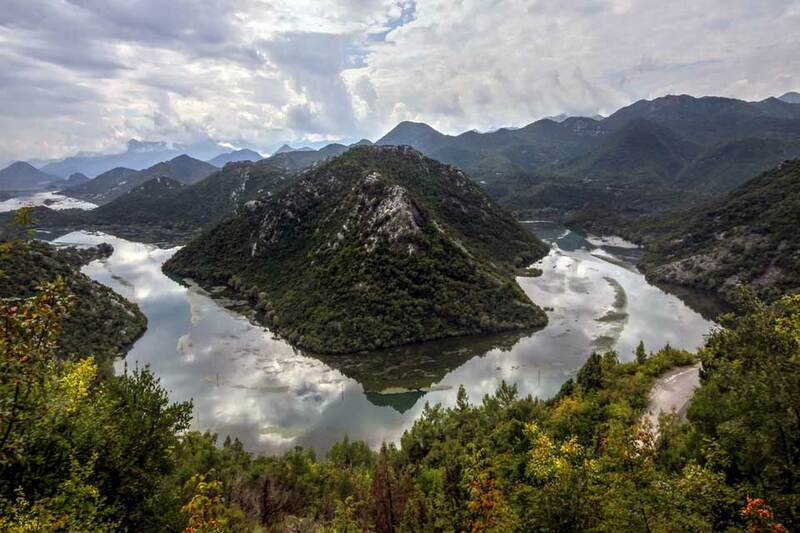 Lake Skadar national park has the surface of 40 000 ha and is located at an altitude of 5 m. It includes territory of Podgorica, Bar and Cetinje. It holds National Park status since 1983. Lake Skadar is the biggest lake in the Balkans (43km long and 13km wide) and is the main habitat of pelicans and biggest bird reserve in Europe. In it 270 species of birds can be found, many of which are endangered. Livings in the Lake Skadar are b l e a k and carp, 2 species which can’t be found anywhere else in the world, and kasoronj is a plant that only grows in Lake Skadar. Town Rijeka Crnojevica on the shore of the lake is full of natural beauty. In near proximity remains of Obod city are found. Surface area of Lake Skadar isn’t always the same. It is approximately 391 km2 and its average depth is between 3 to 7 meters with a few underwater sources that are up to 60 meters deep. 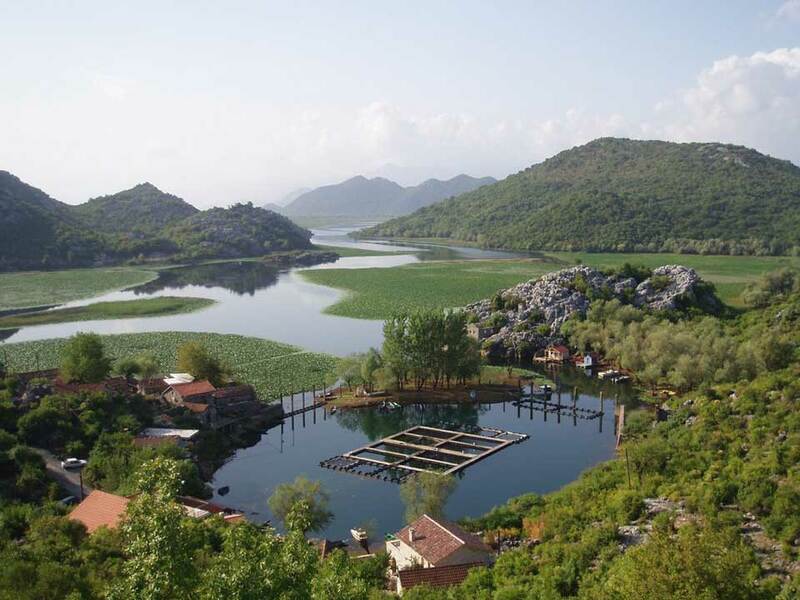 Lake Skadar has many cultural and historical monuments. Many churches were built on its islands, among them Church of the Virgin Marry on Kom island. turistički vodič ∫ tourist guide crna gora ∫ montenegro 50 51 There are also many fortifications such as Zabljak Crnojevica, Grmo - zur and Lesendro. 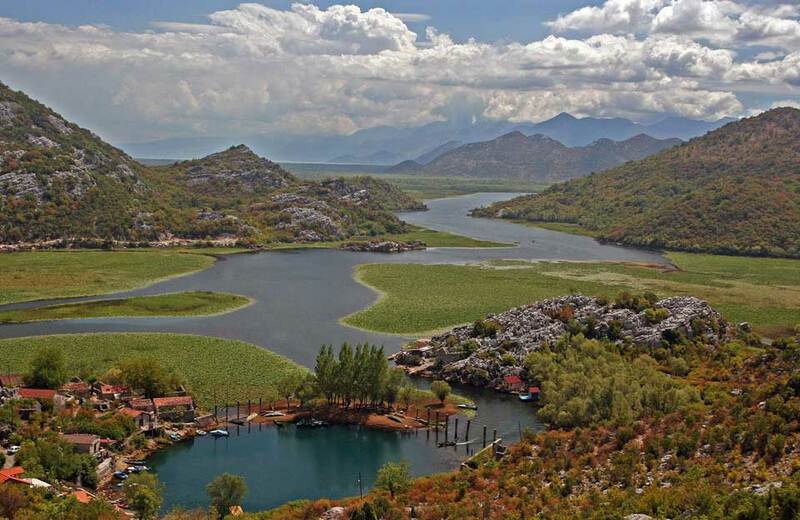 Lake Skadar is listed in the World wetlands list of international importance. Lake Skadar can be reached by car or train which goes from Pod - gorica to Bar. Town Virpazar is found next to the road between Bar and Podgorica and has a train station where local trains stop. Activities for visitors of National Park are numerous. From camp - ing, bird watching, fishing, cruis - ing, cycling and enjoying fish delicacies. Included in this tour: a licensed English speaking guide, private transportation with a modern car or van, breakfast, lunch and drinks, boat tour tickets, entrance fees to the two national parks, VAT.